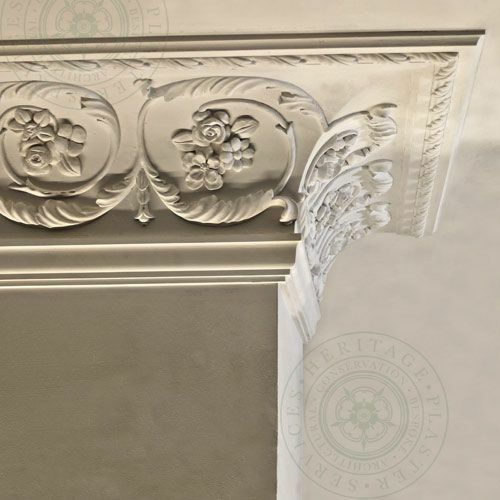 Interior design during The Victorian period (1837 – 1901) became more extravagant throughout its span. 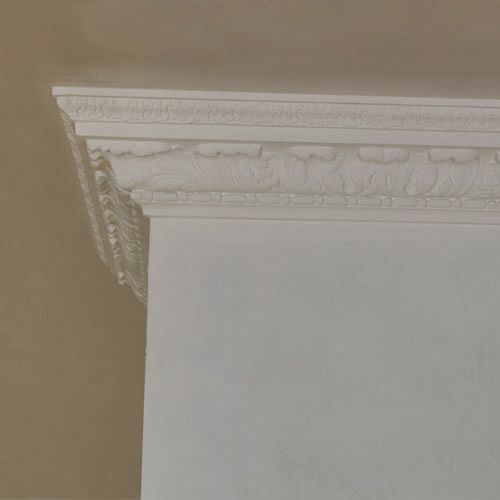 This extravagance also influenced the detail and enrichment of the ceiling rose and cornice designs, as well as more elaborate plaster ceiling decoration. 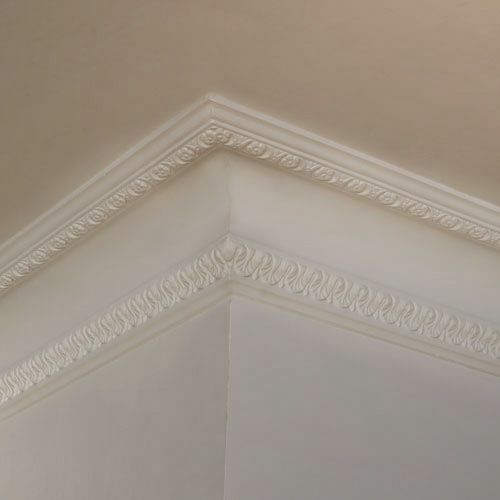 Whilst more modest Victorian houses maintained a plainer design to the cornice and ceiling roses, the higher ceilings offered by the larger homes provided a wonderful opportunity for the designers and plasterers of this period. 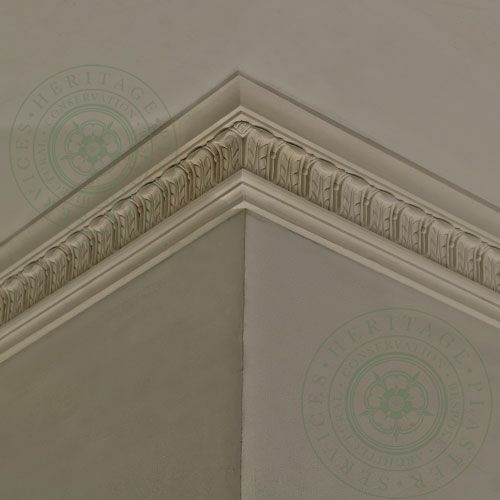 This was an opportunity that was not wasted, with plaster ceiling decorations of elaborate swags, floral designs and festoons being incorporated into more and more detailed ribs and panelling. 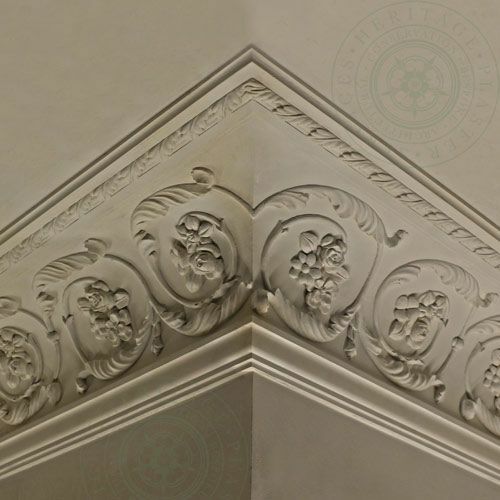 These intricate patterns and enrichment being continued within the cornice and ceiling rose patterns. 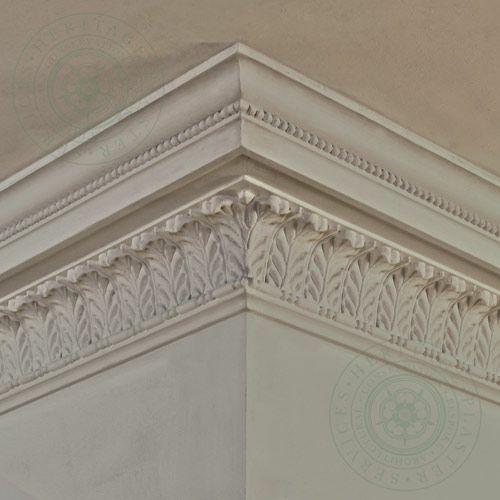 This heightened embellishment of design still maintained links with classical ornament. 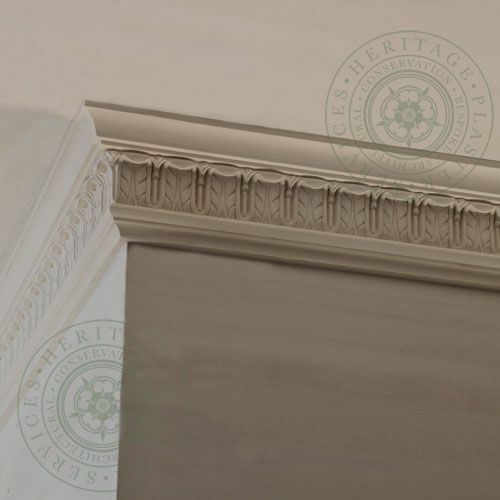 For example, Acanthus leaf and anthemion decoration can often be identified within Victorian cornice whilst both of these are to be found within ancient Greek architecture. 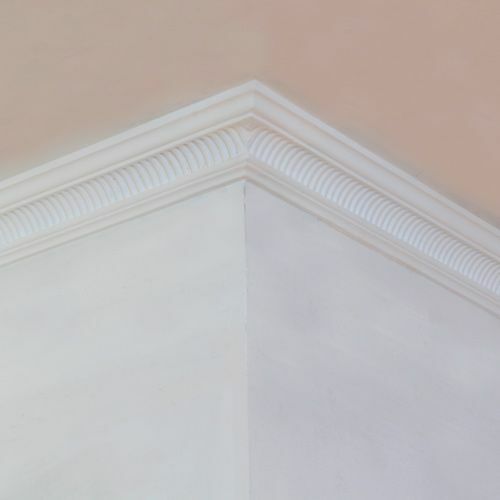 The use of intertwined foliage is often used in order to cover a large area with a relatively small amount of ornament, this process being seen in most periods of architectural history, and was very popular with Victorian designers to create the enriched plates to their larger cornice designs. 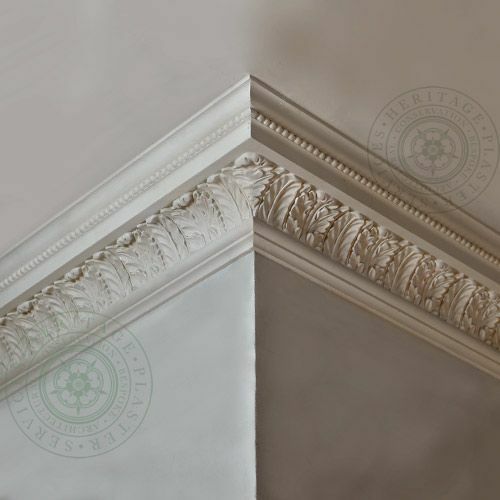 This natural flamboyancy and extravagance of the Victorian designers and plasterers was given a further boost with the introduction of fibrous plaster, the technique being patented in 1856. 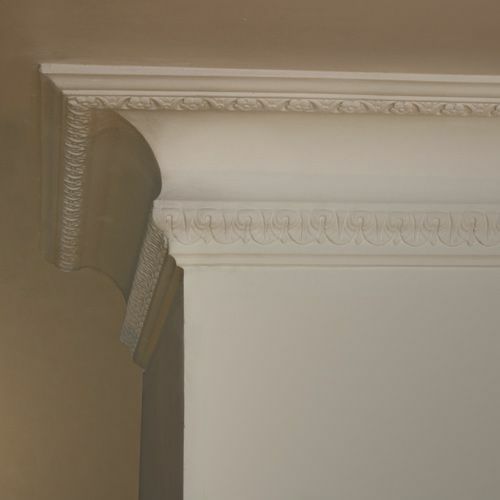 Through this process large precast plaster panels, with canvas as a reinforcing agent, could be moulded, cast and nailed into position on site. 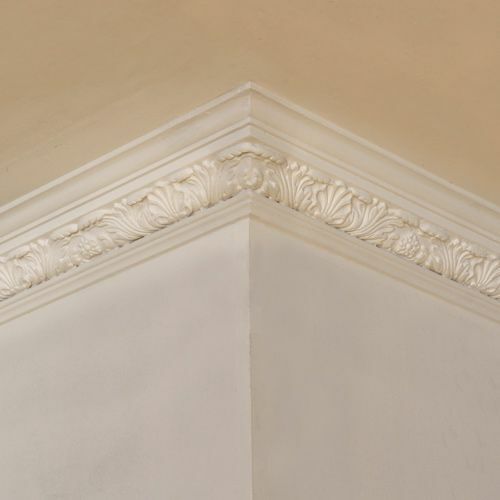 This process quickly extended from purely ceiling panelling to also include cornice and roses, and as such allowing the development of both the scale and extravagance of design of these items also. 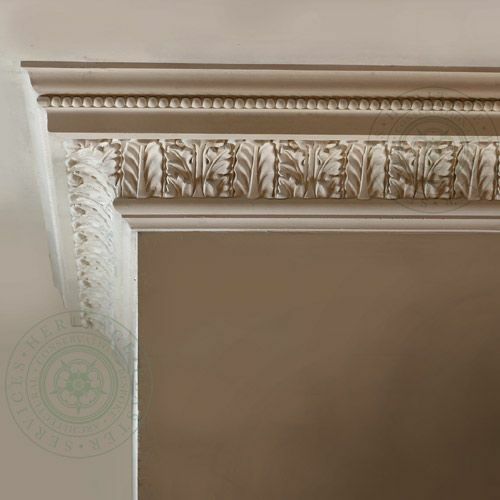 HPS37 Cornice "Cavendish" is a large decorative Victorian cove plaster moulding enriched with roses and leaves. 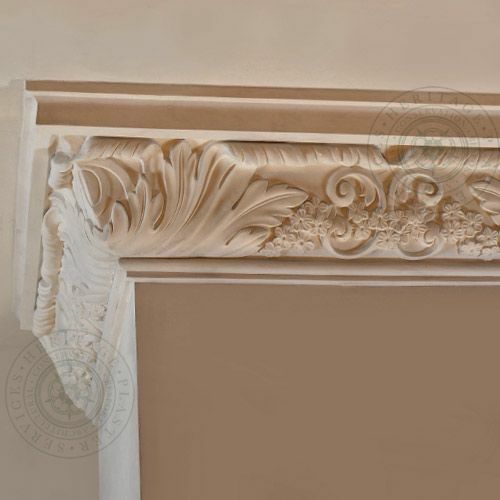 HPS40 Cove "Portland" is a Victorian decorative plaster moulding with a galosh and leaf enrichment. 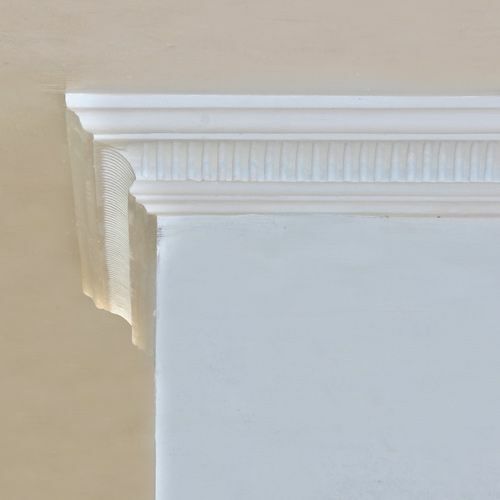 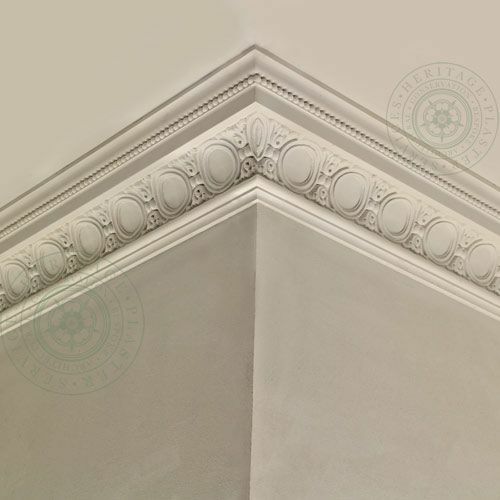 HPS41 Cornice "Chesham" is a small upright fibrous plaster moulding with water leaf design sitting below a cavetto. 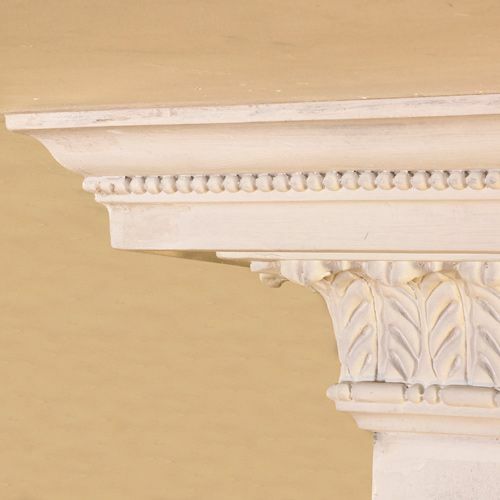 HPS42 Enriched Cove "Portland" is an upright decorative leaf cove with bead enrichment to the top member sitting beneath the cyma recta. 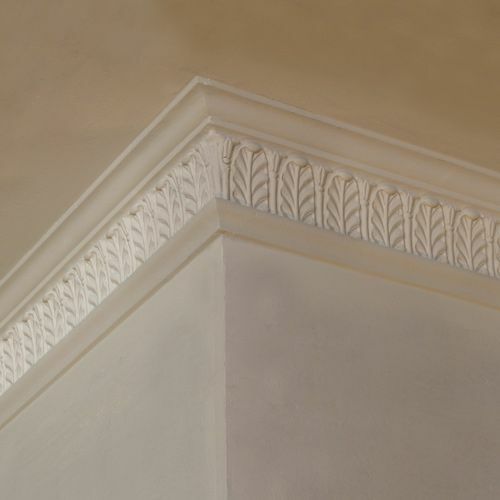 HPS43 Decorative Leaf Cornice has a double flora enrichment of leaf and acanthus leaf with bead. 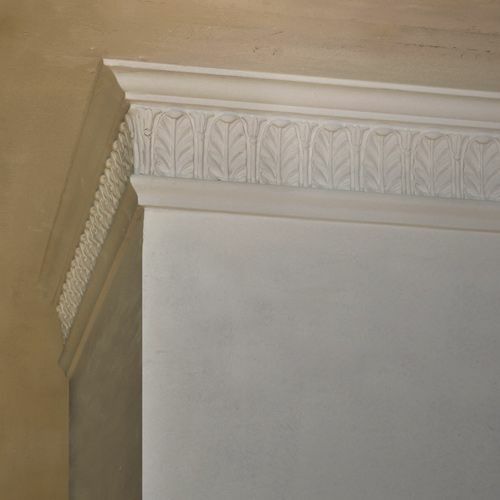 HPS44 Cornice is a small Victorian decorative upright leaf plaster mouldng. 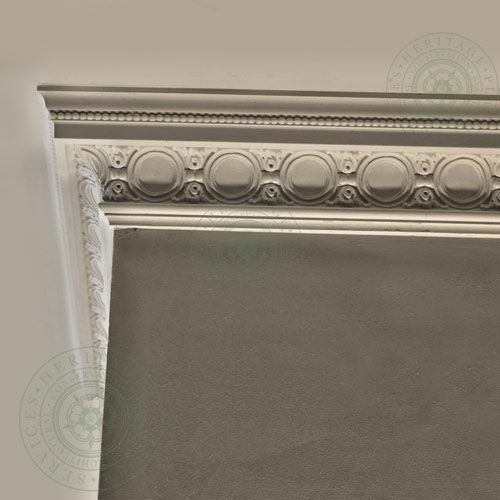 HPS46 Cornice "Swindon" is a small decorative Victorian cornice with open acanthus leaf and shell design. 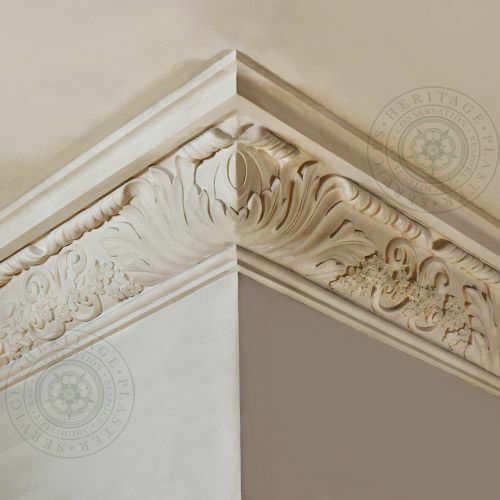 HPS47 Closed Flute Cove is a small Victorian fibrous plaster moulding. 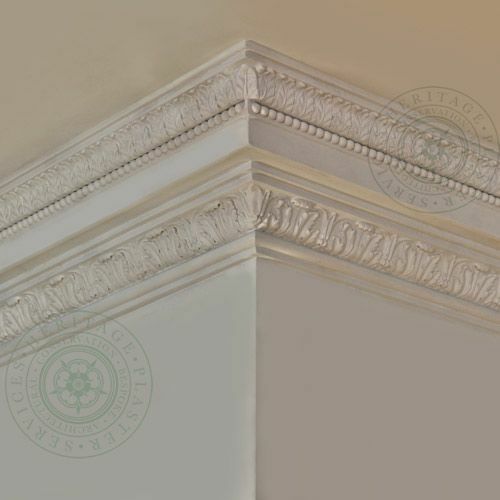 HPS49 Cornice is a decorative Victorian plaster moulding with acanthus leaf to both the top and bottom members. 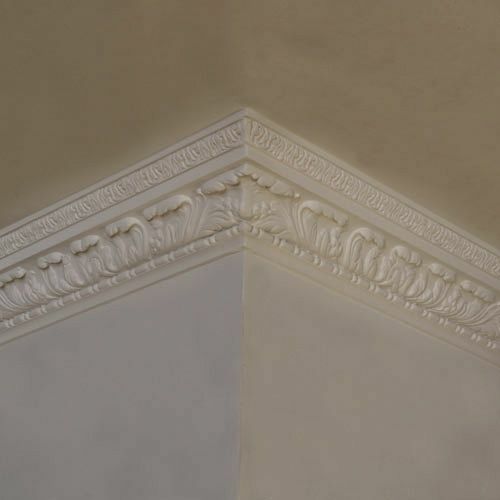 HPS50 Plain Cove has a leaf to the bottom member and a flower and leaf to the top member. 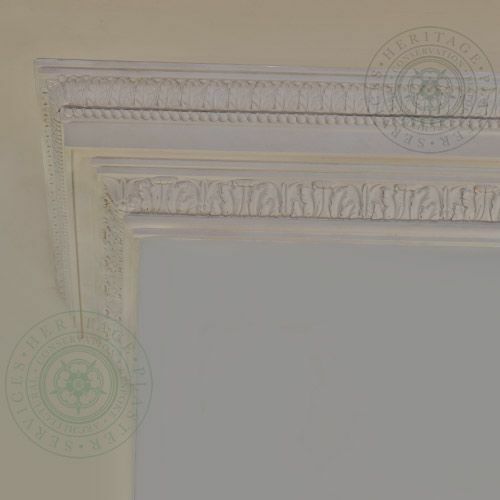 HPS51 Cornice "William & Mary" is a large Victorian fibrous plaster moulding with a large acanthus leaf. 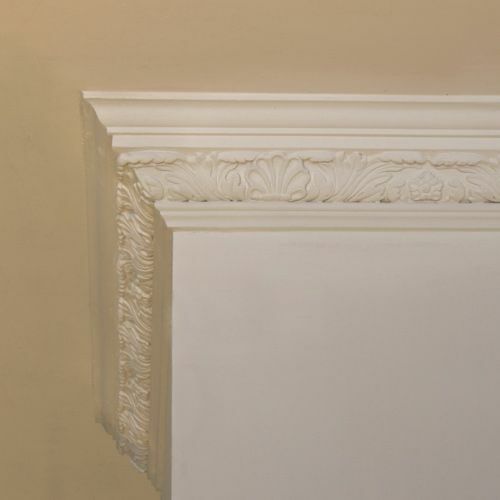 HPS52 Enriched Cornice is a large Victorian plaster moulding with an open acanthus leaf design.